Ellen Scholnicoff, MD, is a native of Pittsburgh, Pennsylvania. She received her bachelor's degree in physics from Cornell University, with Distinction in All Subjects. She attended medical school at the Pennsylvania State University College of Medicine, where she was inducted into the Alpha Omega Alpha Honor Medical Society. Dr. Scholnicoff completed her pediatrics residency at Children's Hospital of Pittsburgh in 2006 and served as Pediatric Chief Resident in 2006-2007. She completed her allergy/immunology fellowship at the University of Pittsburgh Medical Center in June 2009 and has been in practice since July 2009. 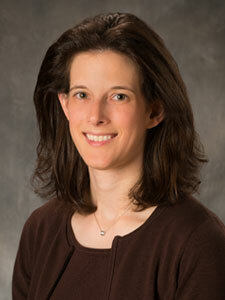 Dr. Scholnicoff is board certified in both pediatrics and allergy/immunology.